At Shining Diamonds we have a handpicked selection of only the very best halo engagement rings to suit your romantic gesture of a lifetime. 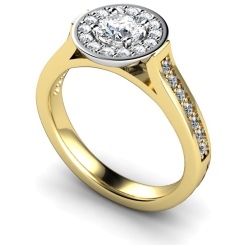 We are dedicated to helping you find the perfect halo ring, and with our selection of round cut halo diamond rings and cluster diamond rings, we hope you will find what you are looking for. 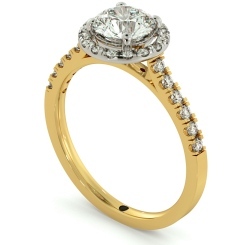 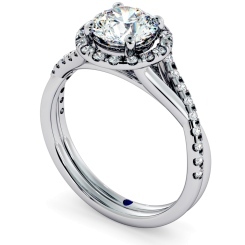 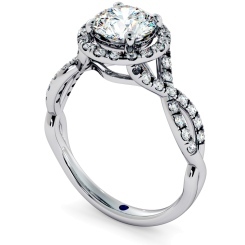 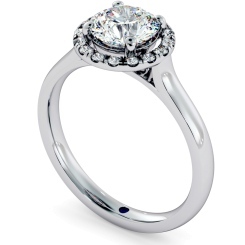 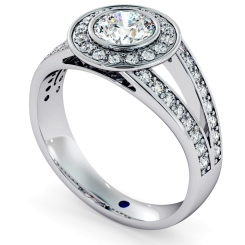 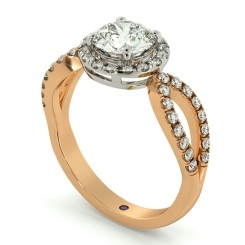 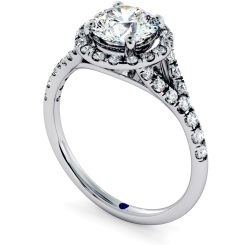 Our range of Round cut Halo and cluster diamond engagement rings are currently our best selling rings. 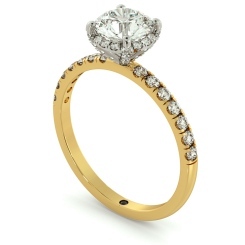 A large Round cut diamond that emphasises brilliance is surrounded by a frame of multiple smaller side diamonds designed to complement it. 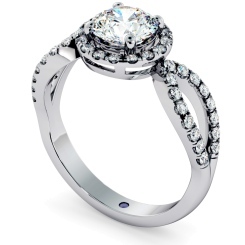 Getting engaged is a very special moment in anyone's life. 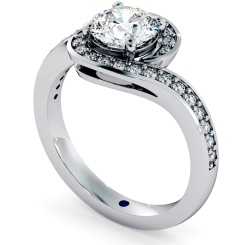 We believe it's wonderful to create your own engagement ring, with the help of our expert designers let us help you create something completely unique that no-one else is wearing anywhere else. 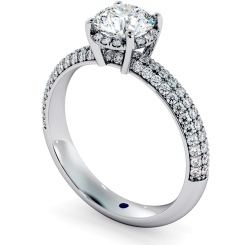 Our diamond experts would be delighted to work with you on creating a bespoke piece to symbolize your special and unique love. 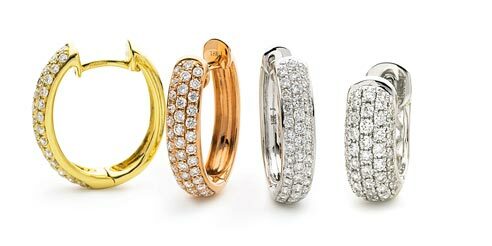 At Shining Diamonds we absolutely love diamonds and are dedicated to helping you find the best ring to help you make a romantic gesture. 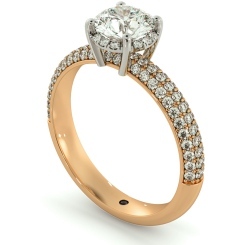 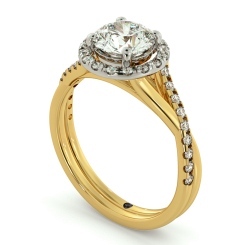 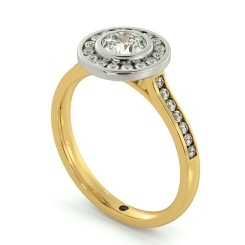 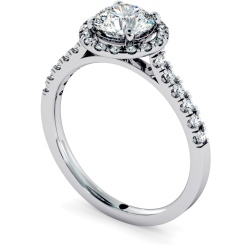 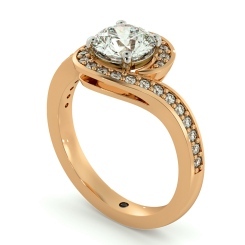 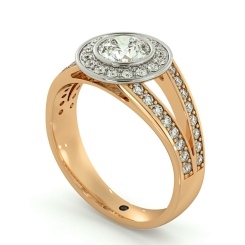 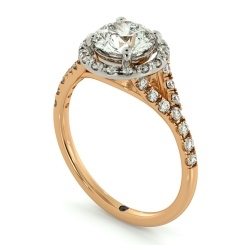 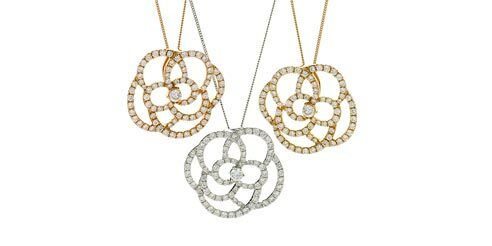 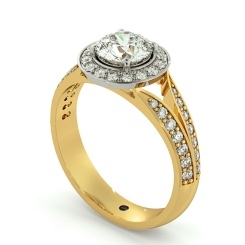 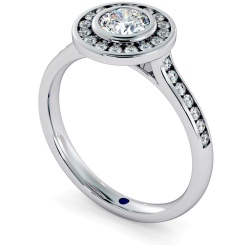 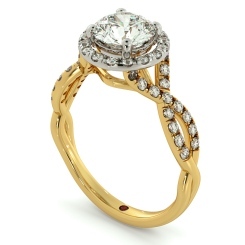 All our diamonds are certified conflict-free and made in Britain. 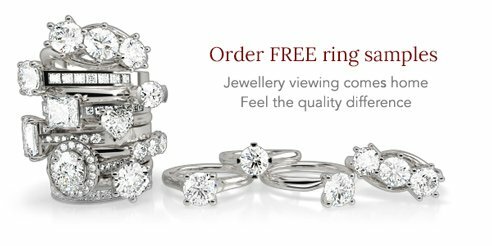 We have a 30-day returns policy and offer free samples to be delivered straight to your door, all to help you make the right choice. 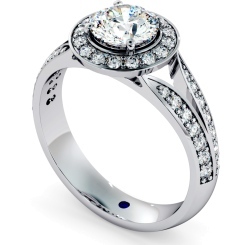 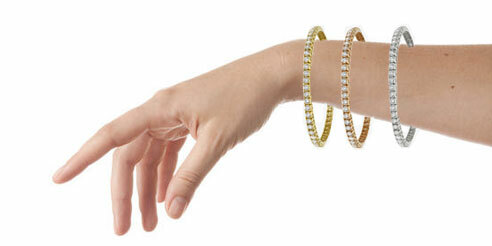 If you have any questions about Shining Diamonds then please contact us and our friendly staff will be happy to help. Alternatively, you can visit us in our Showroom in Hatton Garden at the very heart of London’s diamond district.